This advertisement for Chesterfield cigarettes appeared in the Auburn Plainsman's Feb. 13, 1952 issue. It was part of an ad campaign that ran for several months with a different school being featured each week. The Bama Drug Company was part of the Rexall chain of drug stores which were independently owned an operated. The Tuscaloosa store, located at 1201 University Avenue, was co-owned by Jack McRae and Gordon Haralson. The Chesterfield brand of cigarettes were introduced in the early 1880s by Drummond Tobacco Company of St. Louis, Missouri. The name derived from Chesterfield County, Virginia. In 1912, Liggett & Myers Tobacco Company reintroduced the brand featuring a blend of Turkish-Virginia tobaccos. 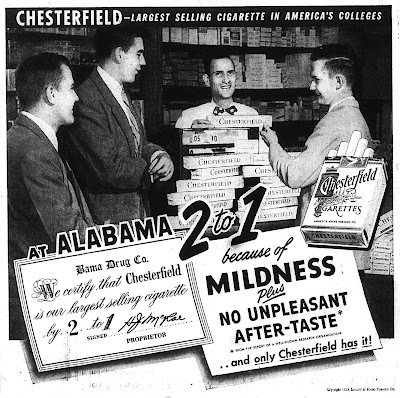 Chesterfield cigarettes were on of the most popular brands sold in the first half of the 20th century. 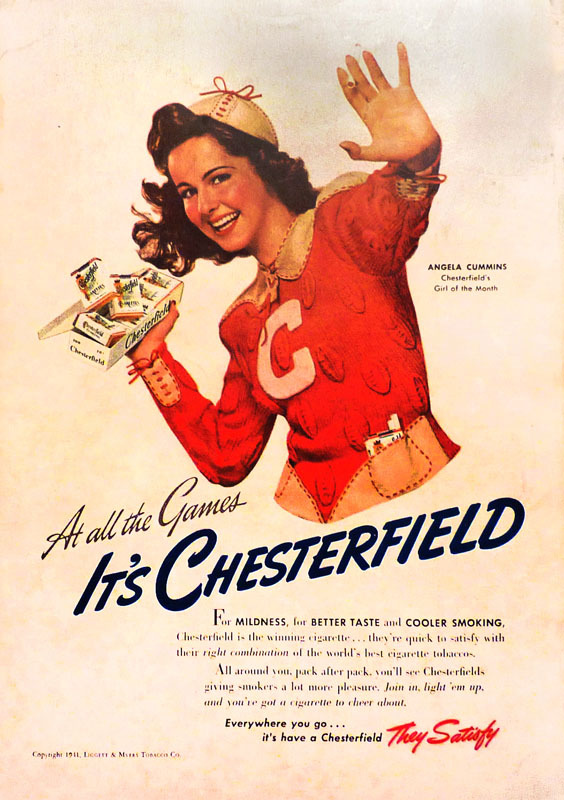 Chesterfield advertisements were ubiquitous in that era often featuring movie stars and professional athletes. 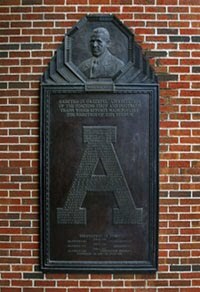 Reportedly they were the brand preferred by legendary Alabama player and later head coach Paul W. Bryant.